While the rest of the world is patiently waiting for this weekend's release of the adidas Yeezy 350 Boost, Kanye has reminded us that there's more to come. For Father's Day yesterday, Kanye wore the black pair, which is still without a release date. 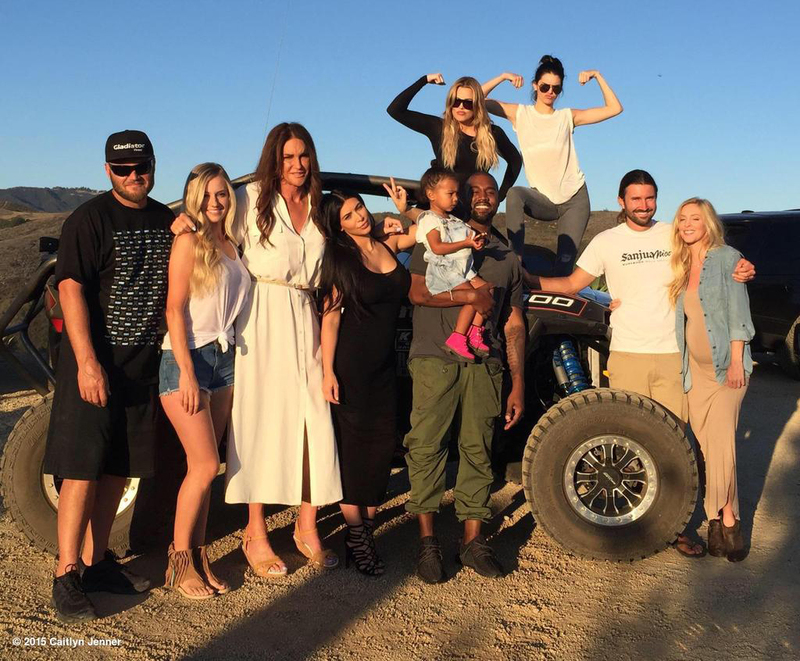 The above photo was posted by Caitlyn Jenner, who spent the day with her extended family, which of course includes Kanye. Kanye's the only one in the shot with the black Yeezy Boosts on, so it appears that he hasn't blessed the rest of the family with that particular pair yet. Sole Collector will provide sneaker release date information for the black adidas Yeezy Boosts as soon as it's available.